Companies usually have document standards that require documents to have certain elements such as font styles, heading, and footers. Changing a Microsoft Word document to fit those elements every time can be a hassle and time consuming. 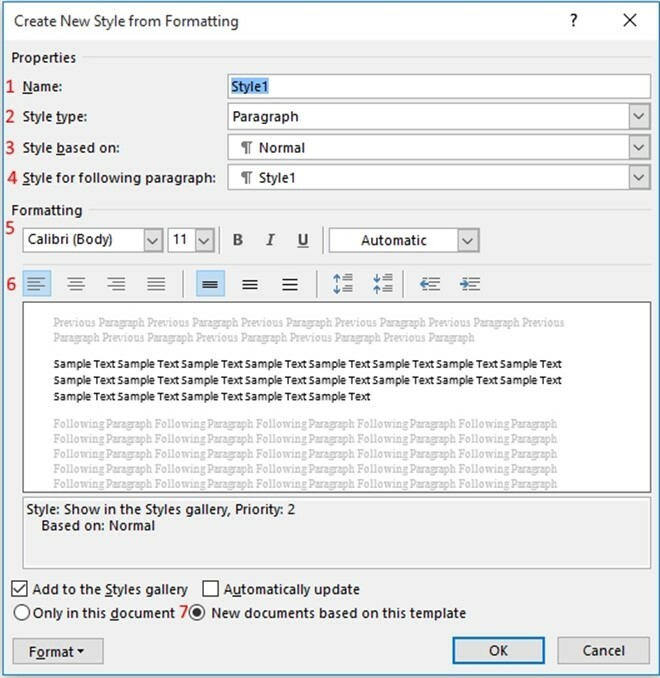 Since Office 2007, Microsoft Word has had a built in way to quickly edit a document to fit a company/firm standard called Style Sheets. This article shows how to edit and use Style Sheets. Note: The style must be created in the Microsoft Word template that the style will be used in. Click on the highlighted area below to bring up Styles. The highlighted button is called a "Dialog Box Launcher". This brings up Styles. Here Style Sheets can be edited to fit users' needs. Microsoft Word provides 12 styles in the default templates, one of these is called "Normal", which is the default style. The window below titled "Create New Style from Formatting" is the window used to create or edit a Style. Name – This is the name of the custom style. Style Type – The style type is what the style is made for. So it's possible to have a style for a table or a list. Style based on – If a style is based on another style that is similar, this is where the user would select the style it's based off of. Style for the following paragraph – After hitting enter, it will change to the style that is selected here. Formatting – This is where the font settings are. Such as font style, size, bold, etc. Paragraph Formatting – This is the section to change the paragraph format. If the style that is being created is a default for a company and is to be used for similar documents, this option should be selected. This will make it default to this style. These styles can then be saved in the workgroup templates location. Each user can use the common templates and correlating styles for each of the firms documents. Microsoft Word Styles in combination with firm templates can make word processing much more efficient.